Renowned for his highly conceptual approach, Paris born Christophe Rousselle explores the notion of ‘free volume’, bringing a unique look to each project. In 2006, he won the ‘Nouveaux Albums des Jeunes Architectes’, which was awarded to him by the Ministry of Culture of France. 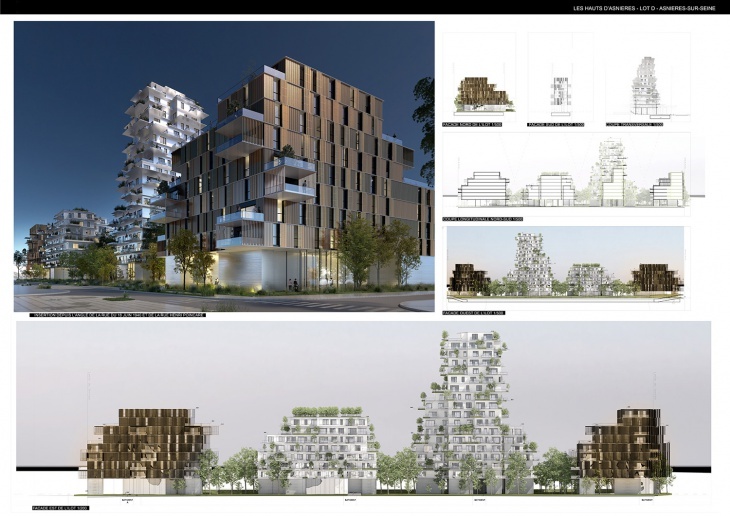 This distinction surely brought Christophe among the visionary futuristic architects’ category. 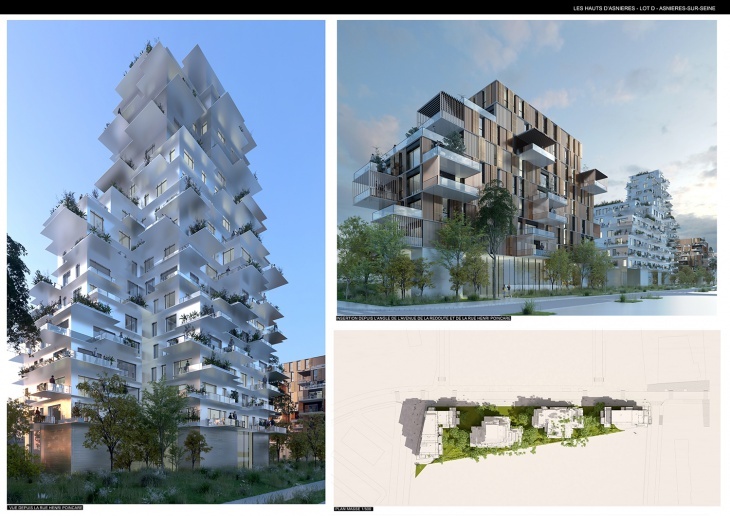 Creative to the core, Christophe has distinguished himself by being very particular to pick only selected projects, which involves urban densification and high-rise buildings in France and other countries. Every project has to meet stringent requirements, in terms of environmental quality and involves taking into account considerations, as diverse as, the local area, design and even sociology. 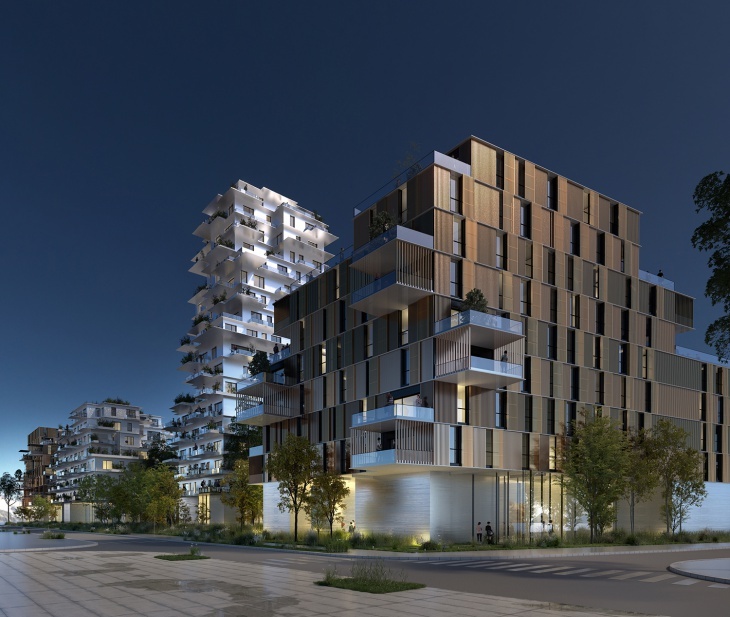 A specific approach by the Christophe’s architectural firm firmly places sustainable development as a source of creativity to drive the architectural heritage of the future. 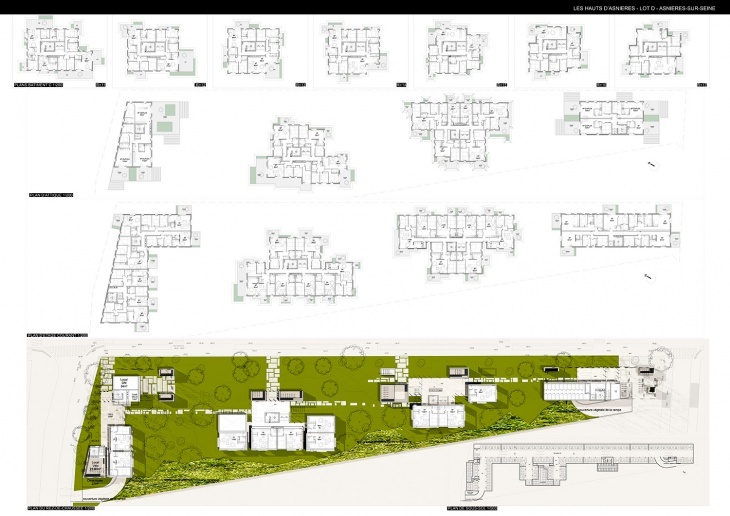 Christophe Rousselle Architecte – Office of Architecture and Urban Planning was established in the year 2004. 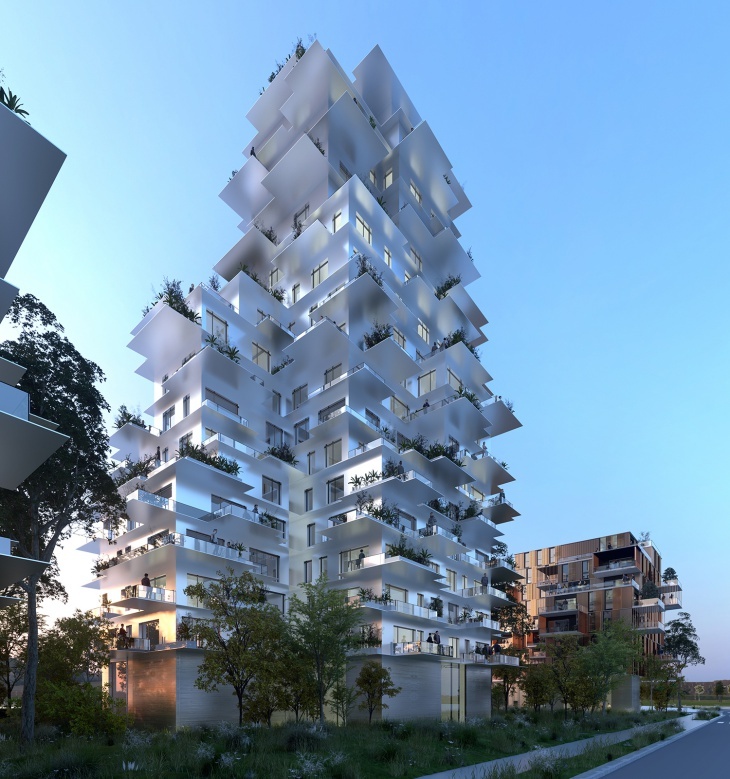 Currently, the architect – designer is working on multiple projects in France, Asia and the Latin America. The firm has been selected to design and create a university building nestling in the hills of Corte, a large primary school in the style of the Canton of Geneva, a gymnasium in Saint Nazaire with a variable silhouette and a high-rise office building in China with hanging gardens overlooking the city. 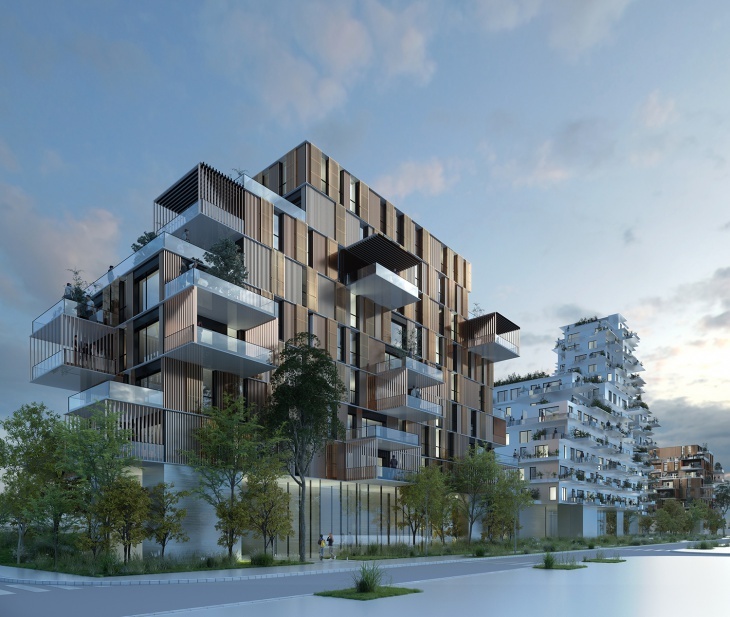 Johnny D of Design Trends interviews the architect regarding his magnificent ‘Tour de Logements’ project in Asnieres, France. Johnny D: ‘Sustainability’ has become the in-thing and mandatory in project designing worldwide. Leading Architects of the world are going beyond to incorporate and achieve the unexpected. Please enlighten Design Trends’ esteemed readers about the latest inclination towards ‘Sustainable Architecture’ from an architect’s perspective. Christophe Rouselle: The space is, for me, the real natural added value in the act of construction. 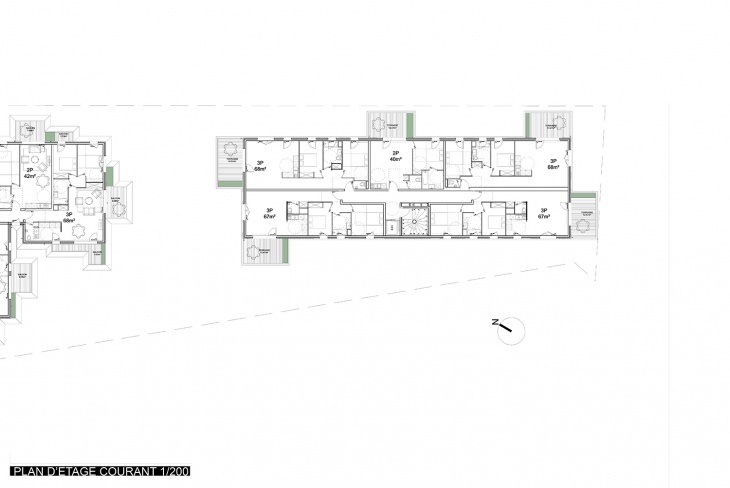 To project the space, you can take inspiration in the context to be helpful with integration. The sustainability of your project will be amazing, if you can create a timeless quality with an expression of a unique space or by being such minimalist that it will never be taking off. The expression is what makes the real value of sustainability. Each project tries to be less resourced for the consumers, which is fine. We are getting closer in more than a decade. However, this is really secondary for me, because the most sustainable thing is the space quality (light, volume, material…), which is what makes a sustainable building to stand to its full potential and capacity to stay timeless. It’s like the car’s design. We all know that tomorrow cars will have no byproducts for any contamination because of the technique evolution. While not forgetting the additive value of the design, our job as the designer is to make the space better. JD: Please specify 5 major ‘Sustainability’ Characteristics in your project. 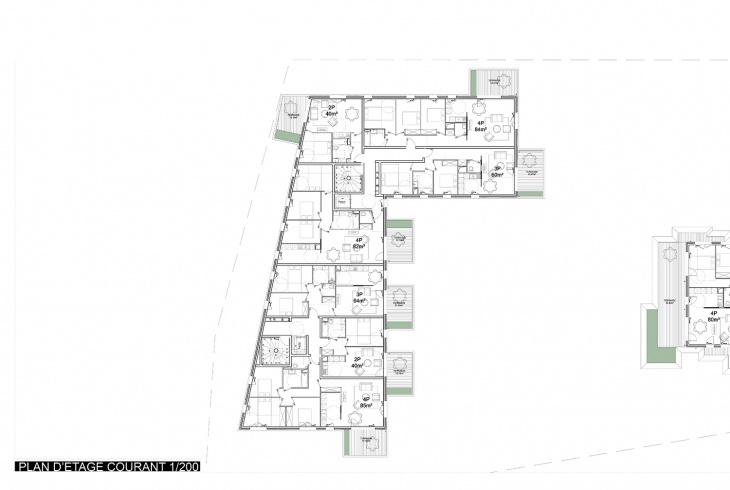 And, probably the most important is the quality of volumes to make the end-users use the flats for a longer period of time. JD: From the conceptual stage of designing to the completion of master-plan, how many brainstorming sessions were held by the team? CR: A lot of brainstorming sessions were held to enrich the best possible proposals. It is basically the concept, which I had developed since the last ten plus years. The approach of overcoming all the related problems, we have developed a research to place the materials, where they seem to be perfect. 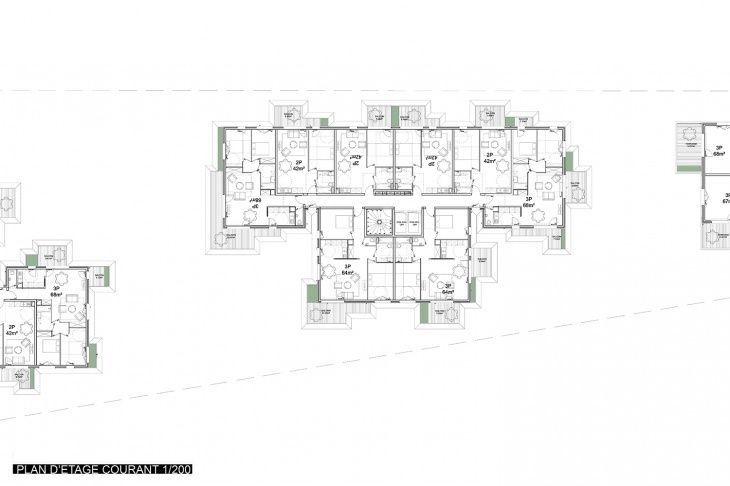 CR: The total area of the project is around 20,000 square meters. JD: Please enlighten us about the major challenges faced by your team while executing the project? CR: Thinking of the volumes to respond in 3D to the context, with the volume above and up, left and right, front and back… in a very short time was the big challenge. In short, the thought process to design the project to achieve perfection is the biggest challenge for any architect or designer. JD: How did your team overcome them? CR: Hard work, sincerity and passionate approach of the whole team by working day and night. JD: What was the ‘Total Time-Period’ to complete the project? CR: We completed the project in 3 months. JD: Please elaborate about the precautions taken by your design team to tackle the roots of the ever-growing plants / trees in the buildings? 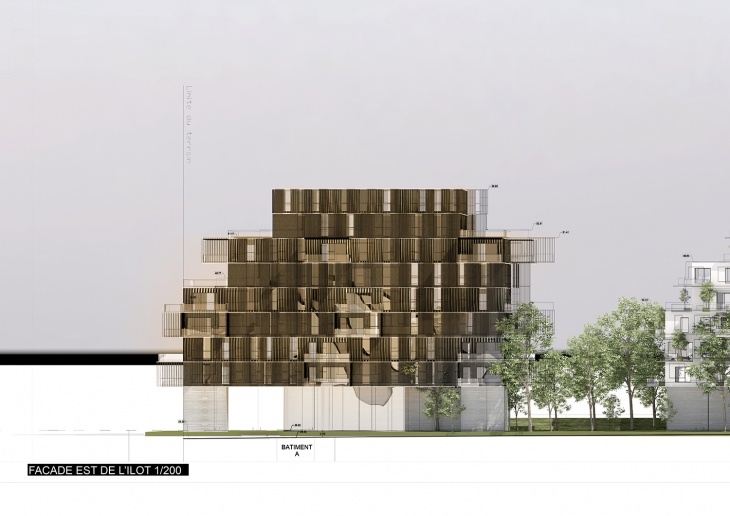 CR: The trees and vegetal are totally disconnected from the structural and insulation of the building. 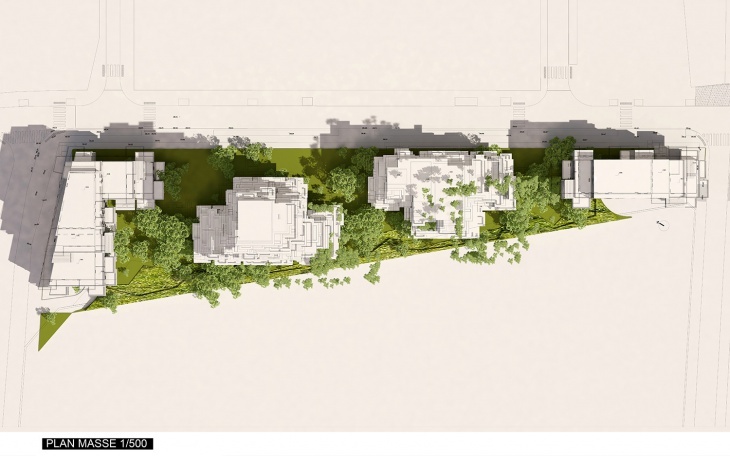 The trees can grow up without disturbing the envelope of the construction since there is no interaction between them. 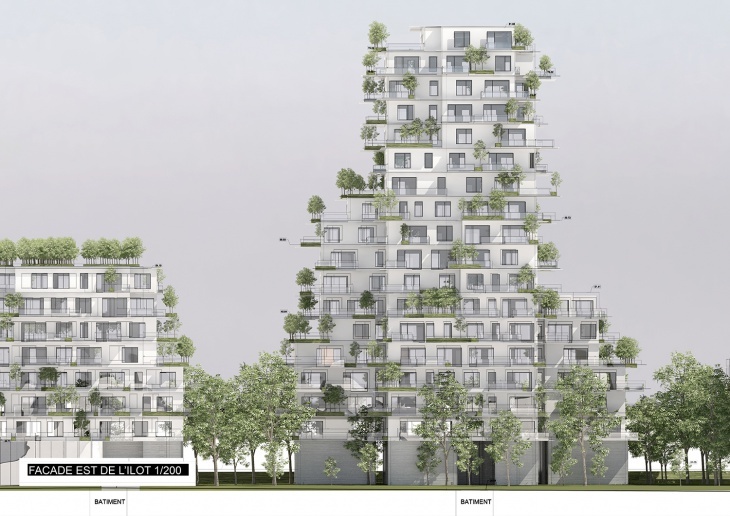 We planted them in prefabricated boxes, placed on the balconies and terraces. JD: Construction Engineers are breaking frontiers to give shape to Architects’ Designs’ Vision. How much credit is attributed to their conscientious efforts? CR: In fact, the project is very rational. It looks wavering, but is very simple to construct or to calculate. JD: As the Design Head, how would you describe the feelings of winning awards one after another? CR: It’s great, of course! It’s part of the excitement of the art. The only thing is that sometimes, even the best project does not gets selected to win awards. It does not matter so much because, it is part of the patrimony of the office and each contest win or lost, is a real experience of research. We can follow-up the developments in our work through these projects. It certainly is not a lost project but it is the evolution of our architecture’s vision. JD: Please mention some of the major awards won recently by you. 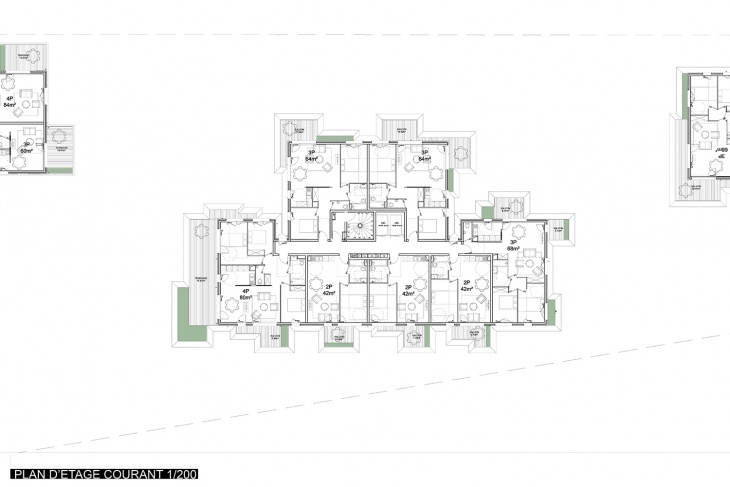 Contest of private luxury house in Saint-Tropez. 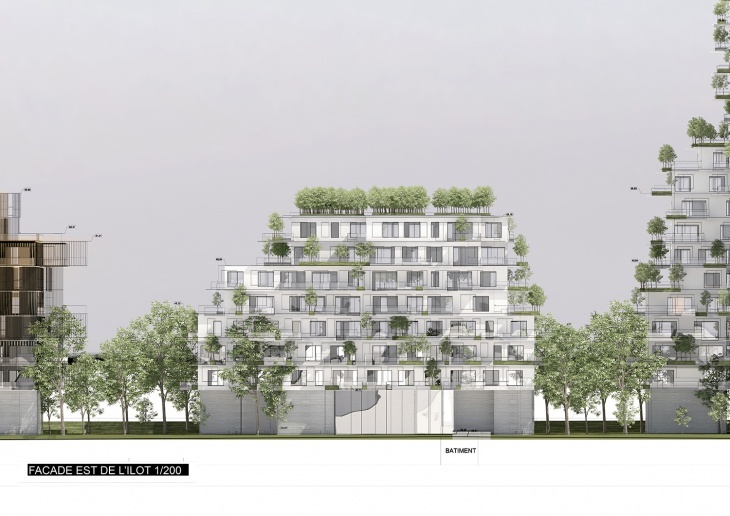 Contest last phase for 25,000 square meters housing in Asnieres-sur-Seine with Mathias Klotz architect. Selection for the construction of an office tower in Shanghai, China. 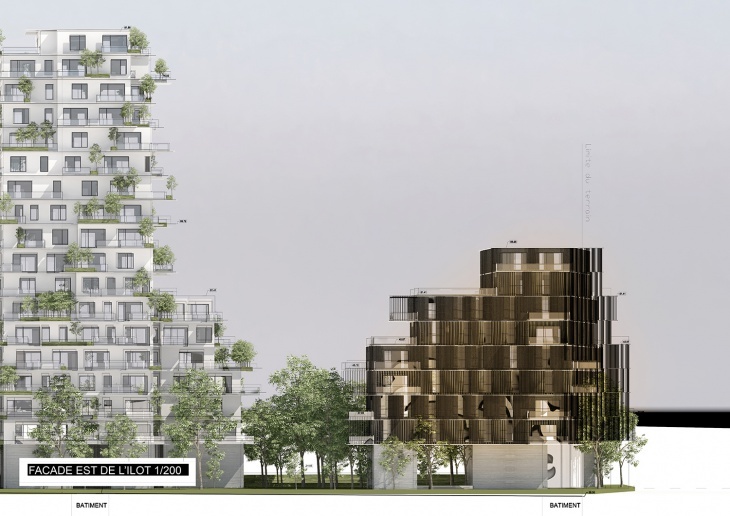 Contest of a luxury housing tower in la Defense district, with curvy freedom spaces and balconies.